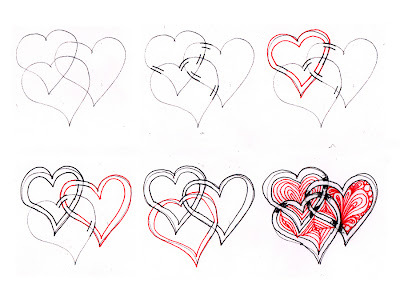 Here is a little something fun to try if you are making Valentines this year. I love to tangle hearts with Fengle, Mooka and Pais, although there are tons of other tangles you can use. In pencil, make some overlapping shapes. Find the intersections of the overlaps, and make a short double line at each pencil intersection. Always make your second line either inside or outside of the shapes. These are made on the inside of each shape. Don’t think too hard about what will overlap what. Part of the fun is the surprise of what you find when you connect your lines later. Connect the double lines of one of the shapes. Connect the double lines of one of remainder of the shapes. Fill the spaces with your favorite tangles. Shade the areas of intersected lines along the outer edge of the shape on top. Thanks for sharing this. My mind is spinning with all the possibilities! 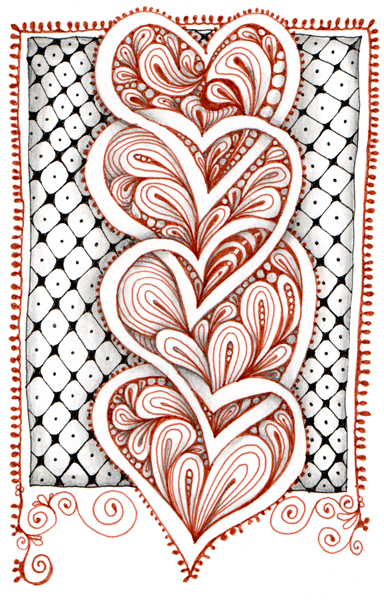 I love these hearts all linked together! Thanks for sharing the steps. I will be giving this a try....love! I love this pic! 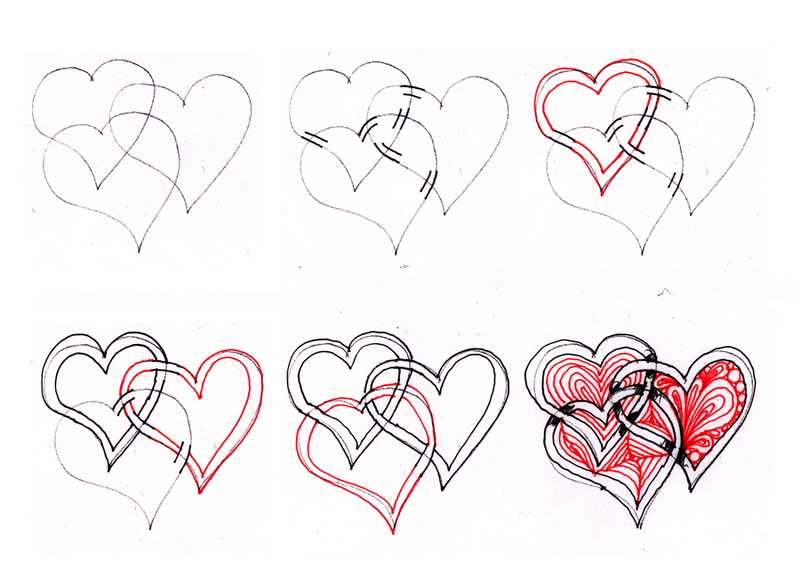 I had made a tangle just like this a few weeks ago, w/2 hearts! pretty cool, carole! going to try it out tonight :) thanks! Lovely, I can hardly wait to try this! I'm a new "tangler" and love seeing all these beautiful pieces.